Born in a blue-collar town and raised in a working-class family, Greg went on to gain a degree in Psychology and a Masters degree in Adult Education & Workplace Learning. He is CEO and co-founder of TalentClick Workforce Solutions and an adjunct professor at Simon Fraser University in Vancouver. Greg’s articles have been published in numerous magazines and journals such as Workplace Today, People Talk, Professional Safety, Mining Engineering, Oil & Gas Monthly, Canadian HR Reporter, and others. He is a member of the Canadian Association of Professional Speakers and has spoken throughout North America. Partial Client List: Kiewit, CN Rail, New Gold, Interfor, CAM/ASSE Detroit, PaperCon Nashville, SSPC Las Vegas, Alberta Oil & Gas conference, NCSE Jackson Hole, IFMA New Orleans, Tennessee Safety Conf, Canadian CU Human Resources conference, more. Everyone uses the term “corporate culture,’ but it’s hard to get an accurate read on what is really going on. And it’s even more difficult knowing what to do with the results of a perception survey, and how to deliver organizational change. What is a Culture Survey? In this talk, Greg will explain how an employee engagement survey is a diagnostic tool that measures your internal alignment—or gap—between what leaders think is going on in the organization and what is actually going on. Greg will show how results from internal employees can be compared with external aggregate industry data so leaders can see how they stack up against other companies. 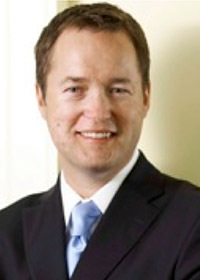 Finally, Greg will share how real companies are using the practical recommendations for meaningful and lasting change. If you can’t measure it, you can’t improve it, right? The business intelligence in a culture report (snapshots below) provides decision support around hiring, team assignments, safety training, safety audit programs and more. A safer culture ensures happier, more engaged, and more productive employees who feel that the company is looking out for them! 1. How to spot major gaps between what leaders think the culture is and what workers believe. 2. How to prioritize short- term and long-term issues. 3. How to create solutions to enhance a culture of safety excellence. 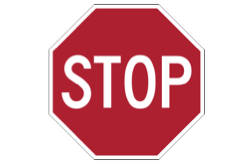 How do YOU react to the Stop sign? Some people are “hard wired” to always come to the full, legal stop for 3 seconds, while others generally look both ways and then roll right through. This presentation focuses on the link between personality and high-risk behaviors due to each person’s innate safety intelligence (SQ™). These are our natural “default settings” of being Risk-Tolerant vs. Cautious, Distractible vs. Vigilant, Rule-Resistant vs. Compliant, and so on. Studies show that the average workplace injury costs a company more than $36,000, and up to 95% of incidents are caused by human error. Progressive organizations are looking at the human factor in the safety equation. However, unlike some other behavioral-based safety concepts which focus on observing current behaviors, and “blaming the worker,” Greg will present innovative research showing how one can predict future behaviors in a non-threatening way. In this session, participants can take a mini personality- risk assessment and learn their own scores in the key personality areas. Greg will then teach how “safety self-awareness” leads to self-coaching and safer choices…which of course helps result in fewer injuries and fatalities in the workplace! How to spot potential risks with front line workers. How to empower front-line workers to make safer choices via self-knowledge. How to more effectively coach and lead people based on their unique personalities. This is a Keynote address that can be 45-90 minutes in length. (Greg also offers a practical breakout session to complement the keynote). “I really enjoyed the presentation.” -Michelle S.
of the info, humor and the way it was presented. Thanks.” -Sandie A.